Former Governor of Kwara State, and Senator representing Kwara Central, Dr. Bukola Saraki on Monday shunned an invitation by the Police Special Fraud Unit, SFU, Milverton, Ikoyi, for interrogations regarding an alleged N11 billion loan scam involving Kwara state and the now defunct Intercontinental Bank. The governor had been invited last week by the agency and on Friday reportedly wrote a letter to the commissioner of police, promising to show up on Monday but eventually failed to appear. He however obtained an injunction from a Federal High Court in Abuja, preventing the police from taking him into custody, pending the determination of the substantive suit on the 26th of May. The motion was served and duly received by the Commissioner of Police, Legal on Tuesday. 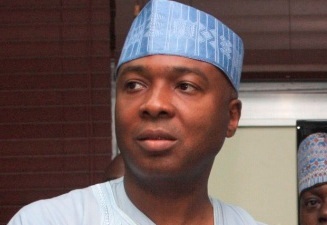 Akintoba Fatigun, the senator’s media aide stated that there appeared to be “an orchestrated frenzy” to tarnish Saraki’s image, and that he was seeking legal support to stop it. The Police Special Fraud Unit had last week arrested former Managing Director of Intercontinental Bank, Mr Mahmoud Alabi, for allegedly writing off a N9 billion loan and granting another N9 billion loan without a directive from the Central Bank of Nigeria.